WOW! 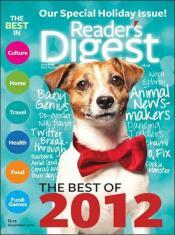 Today only, Discount Mags is offering a YEARLONG subscription to Reader's Digest for only $4.50!! This includes FREE S&H, NO taxes, and your subscription is NOT subject to automatic renewal.